Siskiyou County contains many older houses and buildings. This is part of what makes the area unique and attractive. However, when it comes to real estate transactions, these older homes and buildings sometimes present a few unique challenges. One such challenge can be the presence of asbestos containing materials, or ACM. There are many places in a house that ACM might be found, and a knowledgeable, experienced and thorough home inspector should note any possible ACM in the report. 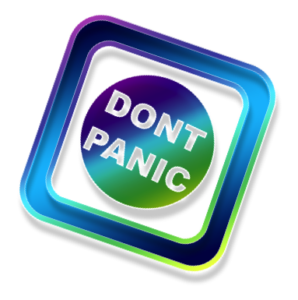 However, the presence of an ACM should not necessarily be scary for home buyers, sellers, or their agents. Education is the key. Read on to learn more and find out why asbestos is not automatically a problem. Asbestos in artificial fireplace embers and wall patching compounds. Asbestos fibers can become airborne and inhaled, and this is when it becomes a health hazard. Asbestos fibers may be released into the air by the disturbance of asbestos-containing material during product use, demolition work, building or home maintenance, repair, and remodeling. In general, exposure may occur only when the asbestos-containing material is disturbed or damaged in some way to release particles and fibers into the air. Read the next section to learn more. Asbestos Products Were Found in Your Home. Now What? handling it, or if it is exposed to extreme vibration or air flow. Sometimes, the best way to deal with slightly damaged material is to limit access to the area and not touch or disturb it. Discard damaged or worn asbestos gloves, stove-top pads and ironing board covers. Check with local health, environmental or other appropriate agencies to find out proper handling and disposal procedures. If asbestos material is more than slightly damaged, or if you are going to make changes in your home that might disturb it, repair or removal by a professional is needed. Before you have your house remodeled, find out whether asbestos materials are present. 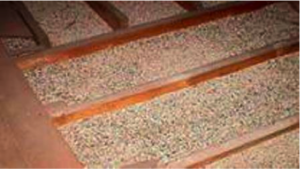 One of the most obvious and most easily disturbed sources of ACM in local homes is vermiculite attic insulation. The best time to determine if an older home has vermiculite insulation is for the seller to have a home inspection prior to putting the house on the market. Otherwise, it’s important for buyers of an older house to have an inspection conducted by an inspector that is knowledgeable about older structures, and vermiculate insulation. If vermiculite attic insulation is present, there is some good news. There may be funds available to homeowners to help recover remediation costs for vermiculite insulation. According to the Zonolite Attic Insulation Trust, approximately 70-80% of the vermiculite sold in United States before 1990 came from a mine in Libby, Montana that was contaminated with asbestos. The product was primarily sold under the brand name “Zonolite.” The EPA recommends treating all vermiculite insulation as if it’s contaminated with asbestos. Evaluation and testing may be completed, and if asbestos is confirmed, or if the material is believed to be the Zonolite brand, a licensed asbestos abatement contractor can be contacted to help determine your next steps. Prior to abatement, you may wish to contact the Zonolite Attic Insulation Trust to determine your eligibility for reimbursement of abatement costs. www.zaitrust.com, by calling the Trust at 844-924-2255 or via email at info@zaitrust.com. Identification: Vermiculite insulation is a pebble-like or rectangular, chunky product roughly the size of a pencil eraser, and usually gray-brown to silver-gold in color. 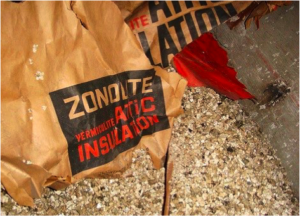 Empty bags in the attic that bear the name Zonolite®, is a sure give-away it’s vermiculite. Zonolite was the commercial name for asbestos-containing vermiculite mined from Libby, Montana. Professional home inspectors are the first line of defense for prospective home buyers in identifying, assessing and reporting on a wide range of issues that could be material to a real estate transaction. It is for this, and other important reasons, that a knowledgeable and experienced home inspector can be one of your best assets. 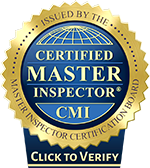 The very best home inspector you can hire is a Certified Master Inspector. 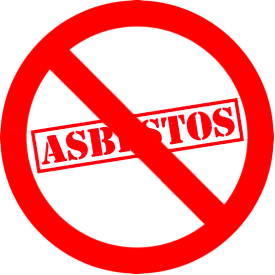 Note: Regarding asbestos, California law requires a seller to disclose the presence of asbestos, if known. Our inspections will note any suspected presence of asbestos, and this protects all parties involved from future claims or litigation. 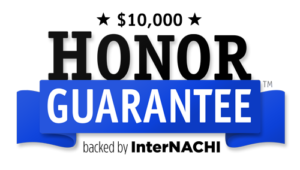 When buying or selling a home, you deserve a quality inspection that will educate you on a property’s condition in a way that’s honest, friendly, and helpful. 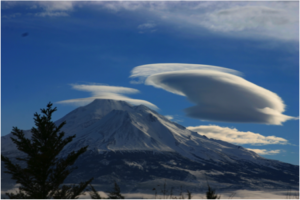 Contact Shasta Premier Inspection Group today to request your inspection. 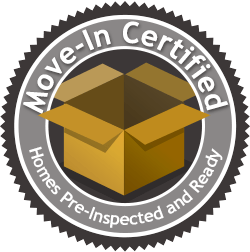 Mansions to Tiny Houses – We Inspect Them All Shasta Premier Inspection Group offers comprehensive property inspections to all of Siskiyou County, California and Northern Shasta County, California. 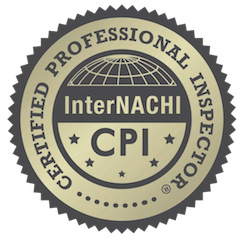 At Shasta Premier Inspection Group, our job isn’t complete until you feel comfortable and all of your questions and concerns are answered. We love hearing from you! 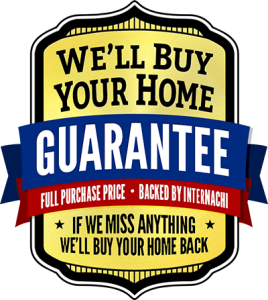 Call or email us if you have any questions or use the online scheduler to set up a home inspection.